What Do You Do As a Web Developer? Web developers, also called web designers or webmasters, design and maintain websites. You might design and develop basic website layout or advanced interactive website features. Read on to learn more about the job duties, skills and education required of a web developer. Your job as a web developer is to present your clients’ products and services to a wide audience by creating attractive, functional websites. You will likely be asked to identify potential site users and design a website to appeal to these constituents. Your work may include meeting with clients to discuss their desires for a website or discuss how to keep their website functioning and up to date. You might construct the layout of a website, creating a visually interesting home page and user-friendly design. You may also write the content for the website. After a website is up and running, you’ll make sure that the site is functional on all web browsers, periodically testing and updating it as needed. A client may also need you to include interactive capabilities on their site using Visual Basic or Java programming languages. What web development skills do you need to succeed in the field? Knowing that you have the natural characteristics of a web developer is a great start, but you won’t find success with those qualities alone. In order to excel in such a technical profession, it’s imperative that you master the hard technical skills to compliment the soft ones. We used real-time job analysis software to examine nearly 140,000 web developer job postings from the past year. 1 The data helped us identify the top five technical skills employers are seeking in candidates. This will give you an idea of which skills you should focus on sharpening to become a hot commodity in this field. Why use a Web Developer? A web developer is responsible for programming the code that “tells” a website how to function. A developer builds a website from the bottom up, which means designing it in such a way that end users have no difficulty navigating the site. The website should not be too simple or too advanced. How Kmarks is helping small business entrepreneurs navigate the digital marketing? Optimizing Your Site and Why it’s Important? How can Digital Marketing help grow your business? Sign up for our Newsletter, Offers and Promotions! © 2018 Kmarks, LLC – All Rights Reserved | We Make it Simple to Do Business Online! Kmarks Web & Computer Solutions believes that the establishment of trust and privacy is instrumental to the continued growth of the internet. We at Kmarks Web & Computer Solutions have created this privacy statement to demonstrate our corporate commitment to individual privacy. The policy is designed to assist you in understanding how we collect, use and safeguard the personal information you provide to us and to assist you in making informed decisions when using our site and our services. By using Kmarks Web & Computer Solutions website, you agree to the terms and conditions set forth below. Kmarks Web & Computer Solutions collects personal information including, without limitations, name, address, e-mail address, telephone, demographic data and member identification number from its members and users. Kmarks Web & Computer Solutions may collect such personal information as part of the registration process for members or when members or users submit comments or other correspondence to Kmarks Web & Computer Solutions through its website or otherwise. Additionally, Kmarks Web & Computer Solutions may collect personal information through its website by using cookies or other methods of monitoring web usage. We do not market, sell, or trade this information to any outside companies, but collected information may be shared with our business partners. We may, at times, use the demographic information as a marketing or promotional tool. When we do that, we will make sure it remains entirely anonymous. Our access application TeamViewer includes full encryption, based on RSA private-/public key exchange and AES (256 Bit) session encoding. In addition TeamViewer uses Partner-ID TeamViewer generates a session password that changes with every software start to provide additional security against unauthorized access to a remote system. Security relevant functions like file transfer require additional, manual confirmation of the remote partner. If you have questions concerning this policy please email us at support@kmarks-solutions.com. This Universal Terms of Service Agreement (this “Agreement”) is entered into by and between Kmarks Web & Computer Solutions an Alabama limited liability company (“Kmarks Web & Computer Solutions) and you, and is made effective as of the date of your use of this website (“Site”) or the date of electronic acceptance. This Agreement sets forth the general terms and conditions of your use of the Site and the products and services purchased or accessed through this Site (individually and collectively, the “Services”). Services Agreements and additional policies apply to certain Services and are in addition to (not in lieu of) this Agreement. In the event of a conflict between the provisions of a Services Agreement and the provisions of this Agreement, the provisions of the applicable Services Agreement shall control. The terms “we”, “us” or “our” shall refer to Kmarks Web & Computer Solutions. The terms “you”, “your”, “User” or “customer” shall refer to any individual or entity who accepts this Agreement, has access to your account or uses the Services. Nothing in this Agreement shall be deemed to confer any third-party rights or benefits. Kmarks Web & Computer Solutions may, in its sole and absolute discretion, change or modify this Agreement, and any policies or agreements which are incorporated herein, at any time, and such changes or modifications shall be effective immediately upon posting to this Site. Your use of this Site or the Services after such changes or modifications have been made shall constitute your acceptance of this Agreement as last revised. If you do not agree to be bound by this Agreement as last revised, do not use (or continue to use) this Site or the Services. In addition, Kmarks Web & Computer Solutions may occasionally notify you of changes or modifications to this Agreement by email. It is therefore very important that you keep your shopper account (“Account”) information current. Kmarks Web & Computer Solutions assumes no liability or responsibility for your failure to receive an email notification if such failure results from an inaccurate email address. In addition, Kmarks Web & Computer Solutions may terminate Your use of Services for any violation or breach of any of the terms of this Agreement by You. KMARKS WEB & COMPUTER SOLUTIONS RESERVES THE RIGHT TO MODIFY, CHANGE, OR DISCONTINUE ANY ASPECT OF THIS SITE OR THE SERVICES, INCLUDING WITHOUT LIMITATION PRICES AND FEES FOR THE SAME, AT ANY TIME. This Site and the Services are available only to individuals (“Users”) who can form legally binding contracts under applicable law. By using this Site or the Services, you represent and warrant that you are (i) at least eighteen (18) years of age, (ii) otherwise recognized as being able to form legally binding contracts under applicable law, or (iii) are not a person barred from purchasing or receiving the Services found under the laws of the United States or other applicable jurisdiction. If you are entering into this Agreement on behalf of a corporate entity, you represent and warrant that you have the legal authority to bind such corporate entity to the terms and conditions contained in this Agreement, in which case the terms “you”, “your”, “User” or “customer” shall refer to such corporate entity. If, after your electronic acceptance of this Agreement, Kmarks Web & Computer Solutions finds that you do not have the legal authority to bind such corporate entity, you will be personally responsible for the obligations contained in this Agreement, including, but not limited to, the payment obligations. Kmarks Web & Computer Solutions shall not be liable for any loss or damage resulting from Kmarks Web & Computer Solutions’s reliance on any instruction, notice, document or communication reasonably believed by Kmarks Web & Computer Solutions to be genuine and originating from an authorized representative of your corporate entity. If there is reasonable doubt about the authenticity of any such instruction, notice, document or communication, Kmarks Web & Computer Solutions reserves the right (but undertakes no duty) to require additional authentication from you. You further agree to be bound by the terms of this Agreement for transactions entered into by you, anyone acting as your agent and anyone who uses your account or the Services, whether or not authorized by you. In order to access some of the features of this Site or use some of the Services, you will have to create an Account. You represent and warrant to Kmarks Web & Computer Solutions that all information you submit when you create your Account is accurate, current and complete, and that you will keep your Account information accurate, current and complete. If Kmarks Web & Computer Solutions has reason to believe that your Account information is untrue, inaccurate, out-of-date or incomplete, Kmarks Web & Computer Solutionsreserves the right, in its sole and absolute discretion, to suspend or terminate your Account. You are solely responsible for the activity that occurs on your Account, whether authorized by you or not, and you must keep your Account information secure, including without limitation your customer number/login, password, Payment Method(s) (as defined below), and shopper PIN. For security purposes, Kmarks Web & Computer Solutions recommends that you change your password and shopper PIN at least once every six (6) months for each Account. You must notify Kmarks Web & Computer Solutions immediately of any breach of security or unauthorized use of your Account. Kmarks Web & Computer Solutions will not be liable for any loss you incur due to any unauthorized use of your Account. You, however, may be liable for any loss Kmarks Web & Computer Solutions or others incur caused by your Account, whether caused by you, or by an authorized person, or by an unauthorized person. i. Your use of this Site and the Services , including any content you submit, will comply with this Agreement, any applicable Services Agreement or policy that may apply to your Services and all applicable local, state, national and international laws, rules and regulations. ii. You will not collect or harvest (or permit anyone else to collect or harvest) any User Content (as defined below) or any non-public or personally identifiable information about another User or any other person or entity without their express prior written consent. Contains false or deceptive language, or unsubstantiated or comparative claims, regarding Kmarks Web & Computer Solutions or Kmarks Web & Computer Solutions’s Services. iv. You will not copy or distribute in any medium any part of this Site or the Services , except where expressly authorized by Kmarks Web & Computer Solutions. v. You will not modify or alter any part of this Site or the Services found at this Site or any of its related technologies. vi. You will not access Kmarks Web & Computer Solutions Content (as defined below) or User Content through any technology or means other than through this Site itself, or as Kmarks Web & Computer Solutions may designate. vii. You agree to back-up all of your User Content so that you can access and use it when needed. Kmarks Web & Computer Solutionsdoes not warrant that it backs-up any Account or User Content, and you agree to accept as a risk the loss of any and all of your User Content. viii. You will not re-sell or provide the Services for a commercial purpose, including any of Kmarks Web & Computer Solutions’s related technologies, without Kmarks Web & Computer Solutions‘s express prior written consent. ix. You will not to circumvent, disable or otherwise interfere with the security-related features of this Site or the Services found at this Site (including without limitation those features that prevent or restrict use or copying of any Kmarks Web & Computer Solutions Content or User Content) or enforce limitations on the use of this Site or the Services found at this Site, the Kmarks Web & Computer Solutions Content or the User Content therein. x. You agree to provide government-issued photo identification and/or government-issued business identification as required for verification of identity when requested. xi. You are aware that Kmarks Web & Computer Solutions may from time-to-time call you about your account, and that, for the purposes of any and all such call(s), you may be subject to call recording and hereby consent to the same, subject to any applicable laws and our restrictions and obligations thereunder, including, where permissible, to record the entirety of such calls regardless of whether Kmarks Web & Computer Solutions asks you on any particular call for consent to record such call. You further acknowledge and agree that, to the extent permitted by applicable law, any such recording(s) may be submitted as evidence in any legal proceeding in which Kmarks Web & Computer Solutions is a party. Further, by providing your telephone or mobile number, you consent to receive marketing telephone calls from or on behalf of Kmarks Web & Computer Solutions that may be initiated by an automatic telephone dialing system and/or use an artificial or prerecorded voice. You understand that providing consent is not a condition of purchasing any good or service from Kmarks Web & Computer Solutions. Similarly, by providing your mobile number, you consent to receive marketing text messages from or on behalf of Kmarks Web & Computer Solutions that may be sent by an automatic telephone dialing system. You understand that providing consent is not a condition of purchasing any good or service from Kmarks Web & Computer Solutions. Message and data rates may apply. Kmarks Web & Computer Solutions offers certain hosted Services available to you that may involve the submission, collection and/or use of personally identifying or identifiable information about you and your own customers (“Your Data”) in the course of your use of these Services (“Covered Services”). Your Data, for the purpose of this Section, excludes any User Content. Kmarks Web & Computer Solutions’s Data Processing Addendum (“DPA”), which is hereby incorporated by reference and applicable to Covered Services, is meant to provide you contractual assurance that we have robust mechanisms to ensure the transfer of Your Data, including transfers of Your Data from the EEA to the Covered Services, meets with compliance under applicable data privacy laws. Covered Services, as defined in this Section and in the DPA, include hosted services that are subject to the terms and conditions of the following Agreements: (1) Domain Name Registration, (2) Email Marketing Services, (3) Website Builder, (4) Hosting, (5) Online Bookkeeping, (6) Online Store/Quick Shopping Cart, (7) Smartline and (8) Website Builder v7 Services. Some of the features of this Site or the Services, including those Services that are hosted with Kmarks Web & Computer Solutions, may allow Users to view, post, publish, share, store, or manage (a) ideas, opinions, recommendations, or advice via forum posts, content submitted in connection with a contest, product reviews or recommendations, or photos to be incorporated into a social media event or activity (“User Submissions”), or (b) literary, artistic, musical, or other content, including but not limited to photos and videos (together with User Submissions, “User Content”). All content submitted through your Account is consider User Content. By posting or publishing User Content to this Site or to or via the Services, you represent and warrant to Kmarks Web & Computer Solutions that (i) you have all necessary rights to distribute User Content via this Site or via the Services, either because you are the author of the User Content and have the right to distribute the same, or because you have the appropriate distribution rights, licenses, consents, and/or permissions to use, in writing, from the copyright or other owner of the User Content, and (ii) the User Content does not violate the rights of any third party. You shall be solely responsible for any and all of your User Content or User Content that is submitted through your Account, and the consequences of, and requirements for, distributing it. User Submissions. You acknowledge and agree that your User Submissions are entirely voluntary, do not establish a confidential relationship or obligate Kmarks Web & Computer Solutions to treat your User Submissions as confidential or secret, that Kmarks Web & Computer Solutions has no obligation, either express or implied, to develop or use your User Submissions, and no compensation is due to you or to anyone else for any intentional or unintentional use of your User Submissions, and that Kmarks Web & Computer Solutions may be working on the same or similar content, it may already know of such content from other sources, it may simply wish to develop this (or similar) content on its own, or it may have taken / will take some other action. Kmarks Web & Computer Solutions shall own exclusive rights (including all intellectual property and other proprietary rights) to any User Submissions posted to this Site, and shall be entitled to the unrestricted use and dissemination of any User Submissions posted to this Site for any purpose, commercial or otherwise, without acknowledgment or compensation to you or to anyone else. User Content Other Than User Submissions. By posting or publishing User Content to this Site or through the Services, you authorize Kmarks Web & Computer Solutions to use the intellectual property and other proprietary rights in and to your User Content to enable inclusion and use of the User Content in the manner contemplated by this Site and this Agreement. You hereby grant Kmarks Web & Computer Solutions a worldwide, non-exclusive, royalty-free, sublicensable (through multiple tiers), and transferable license to use, reproduce, distribute, prepare derivative works of, combine with other works, display, and perform your User Content in connection with this Site, the Services and Kmarks Web & Computer Solutions’s (and Kmarks Web & Computer Solutions’s affiliates’) business(es), including without limitation for promoting and redistributing all or part of this Site in any media formats and through any media channels without restrictions of any kind and without payment or other consideration of any kind, or permission or notification, to you or any third party. You also hereby grant each User of this Site a non-exclusive license to access your User Content (with the exception of User Content that you designate “private” or “password protected”) through this Site, and to use, reproduce, distribute, prepare derivative works of, combine with other works, display, and perform your User Content as permitted through the functionality of this Site and under this Agreement. The above licenses granted by you in your User Content terminate within a commercially reasonable time after you remove or delete your User Content from this Site. You understand and agree, however, that Kmarks Web & Computer Solutions may retain (but not distribute, display, or perform) server copies of your User Content that have been removed or deleted. The above licenses granted by you in your User Content are perpetual and irrevocable. Notwithstanding anything to the contrary contained herein, Kmarks Web & Computer Solutions shall not use any User Content that has been designated “private” or “password protected” by you for the purpose of promoting this Site or Kmarks Web & Computer Solutions’s (or Kmarks Web & Computer Solutions’s affiliates’) business(es). If you have a website or other content hosted by Kmarks Web & Computer Solutions, you shall retain all of your ownership or licensed rights in User Content. In the event you are provided with a product credit (“Credit”), whether for redemption of the purchase of a specific product or for free with the purchase of another product (“Purchased Product”), you acknowledge and agree that such Credit is only valid for one (1) year and is only available with a valid purchase and may be terminated in the event the product purchased is deleted, cancelled, transferred or not renewed.The Credit will expire one (1) year from date of purchase of the Purchased Product if the Credit has not been redeemed. In the event that the Credit is redeemed, after the initial subscription period, the product will automatically renew at the then-current renewal price until cancelled. If you wish to cancel the automatic renewal of the product, you may do so by visiting your Account or by contacting customer service. In the event your Purchased Product includes a free domain name, if you cancel the Purchased Product, the list price for the domain name will be deducted from the refund amount. The list price is the price of the domain name listed on Kmarks Web & Computer Solutions’s website and is not subject to any promotion, discount, or other reduction in price. For Credits issues for free with another Purchased Product, you acknowledge and agree that we may swap your Credit for a similar product, in our sole discretion. Kmarks Web & Computer Solutions generally does not pre-screen User Content (whether posted to a website hosted by Kmarks Web & Computer Solutions or posted to this Site). However, Kmarks Web & Computer Solutions reserves the right (but undertakes no duty) to do so and decide whether any item of User Content is appropriate and/or complies with this Agreement. Kmarks Web & Computer Solutionsmay remove any item of User Content (whether posted to a website hosted by Kmarks Web & Computer Solutions or posted to this Site) and/or terminate a User’s access to this Site or the Services found at this Site for posting or publishing any material in violation of this Agreement, or for otherwise violating this Agreement (as determined by Kmarks Web & Computer Solutions in its sole and absolute discretion), at any time and without prior notice. Kmarks Web & Computer Solutions may also terminate a User’s access to this Site or the Services found at this Site if Kmarks Web & Computer Solutions has reason to believe the User is a repeat offender. If Kmarks Web & Computer Solutions terminates your access to this Site or the Services found at this Site, Kmarks Web & Computer Solutions may, in its sole and absolute discretion, remove and destroy any data and files stored by you on its servers. Kmarks Web & Computer Solutions reserves the right to cease offering or providing any of the Services at any time, for any or no reason, and without prior notice. Although Kmarks Web & Computer Solutions makes great effort to maximize the lifespan of all its Services, there are times when a Service we offer will be discontinued or reach its End-of-Life (“EOL”). If that is the case, that product or service will no longer be supported by Kmarks Web & Computer Solutions, in any way, effective on the EOL date. Notice and Migration. In the event that any Service we offer has reached or will reach EOL, we will attempt to notify you thirty or more days in advance of the EOL date. It is your responsibility to take all necessary steps to replace the Service by migrating to a new Service before the EOL date, or by entirely ceasing reliance on said Service before the EOL date. In either case, Kmarks Web & Computer Solutions will either offer a comparable Service for you to migrate to for the remainder of the term of your purchase, a prorated in-store credit, or a prorated refund, to be determined by Kmarks Web & Computer Solutions in its sole and absolute discretion. Kmarks Web & Computer Solutions may, with or without notice to you, migrate you to the most up-to-date version of the Service, if available. You agree to take full responsibility for any and all loss or damage arising from any such migration. No Liability. Kmarks Web & Computer Solutions will not be liable to you or any third party for any modification, suspension, or discontinuance of any of the Services we may offer or facilitate access to. Payment Due at Time of Order; Non-Refundable. You agree to pay all amounts due for Services at the time you order them. All amounts are non-refundable unless otherwise noted in the Refund Policy. Price Changes. Kmarks Web & Computer Solutions reserves the right to change its prices and fees at any time, and such changes shall be posted online at this Site and effective immediately without need for further notice to you. If you have purchased or obtained Services for a period of months or years, changes in prices and fees shall be effective when the Services in question come up for renewal as further described below. Payment Types. Except as prohibited in any product-specific agreement, you may pay for Services by using any of the following “Payment Methods”: (i) valid credit card, (ii) “Good As Gold Prepaid Services” (defined below); (iii) electronic payment from your personal or business checking account, as appropriate (and as defined below); (iv) PayPal, (v) International Payment Option (as defined below) or (vi) via in-store credit balances, if applicable (and as defined below), each a “Payment Method”. The “Express Checkout” feature automatically places an order for the applicable Service and charges the primary Payment Method on file for your Account. Confirmation of that order will be sent to the email address on file for your Account. Your Payment Method on file must be kept valid if you have any active Services in your Account. In addition, you agree that the location for the processing of your payments may change for any reason, including the type of Payment Method chosen, the currency selected, or changes or updates made to your Payment Method. Refunds Issued. You agree that where refunds are issued to your Payment Method, Kmarks Web & Computer Solutions‘s issuance of a refund receipt is only confirmation that Kmarks Web & Computer Solutions has submitted your refund to the Payment Method charged at the time of the original sale, and that Kmarks Web & Computer Solutions has no control over when the refund will be applied towards your Payment Method’s available balance. You further acknowledge and agree that the payment provider and/or individual issuing bank associated with your Payment Method establish and regulate the time frames for posting your refund, and that such refund posting time frames may range from five (5) business days to a full billing cycle, or longer. In the event a refund is issued to your Payment Method and the payment provider, payment processor or individual issuing bank associated with your Payment Method imposes any limitations on refunds, including but not limited to, limitations as to the timing of the refund or the number of refunds allowed, then Kmarks Web & Computer Solutions, in its sole and absolute discretion, reserves the right to issue the refund either (i) in the form of an in-store credit; (ii) via issuance of a Kmarks Web & Computer Solutions check, which will be sent to the mailing address on file for your Account; or (iii) in some jurisdictions, as a bank transfer, when the payment processor cannot refund back to the Payment Method. Kmarks Web & Computer Solutions also has the right to offer an in-store credit for customers seeking refunds, even if there are no limitations on refunds imposed by the Payment Method. Monthly Billing Date. If you are being billed on a monthly basis, your monthly billing date will be based on the date of the month you purchased the Services, unless that date falls after the 28th of the month, in which case your billing date will be the 28th of each month. Auto-Renewal Terms. Other than as required by applicable law, Kmarks Web & Computer Solutions does not retain hard copies or electronic versions of mandate, standing order or standing instruction forms and/or any signed consents relating to your usage of our automatic renewal services, and we are therefore unable to provide any such document upon request. You may view or change your automatic renewal settings at any time by logging into your Kmarks Web & Computer Solutions account. IN ORDER TO ENSURE THAT YOU DO NOT EXPERIENCE AN INTERRUPTION OR LOSS OF SERVICES, ALL SERVICES ARE OFFERED ON AUTOMATIC RENEWAL. EXCEPT FOR REASONS DESCRIBED BELOW IN THIS SECTION, AUTOMATIC RENEWAL AUTOMATICALLY RENEWS THE APPLICABLE SERVICE UPON EXPIRATION OF THE THEN CURRENT TERM FOR A RENEWAL PERIOD EQUAL IN TIME TO THE MOST RECENT SERVICE PERIOD (EXCEPT FOR DOMAIN NAMES WHICH MAY RENEW FOR THE ORIGINAL SERVICE PERIOD). FOR EXAMPLE, IF YOUR LAST SERVICE PERIOD IS FOR ONE YEAR, YOUR RENEWAL PERIOD WILL TYPICALLY BE FOR ONE YEAR. HOWEVER, IN THE EVENT RENEWAL WITH THE PAYMENT METHOD ON FILE FAILS, KMARKS WEB & COMPUTER SOLUTIONS MAY ATTEMPT TO RENEW THE APPLICABLE SERVICE FOR A PERIOD LESS THAN THE ORIGINAL SUBSCRIPTION PERIOD TO THE EXTENT NECESSARY FOR THE TRANSACTION TO SUCCEED. UNLESS YOU DISABLE THE AUTOMATIC RENEWAL OPTION, KMARKS WEB & COMPUTER SOLUTIONS WILL AUTOMATICALLY RENEW THE APPLICABLE SERVICE WHEN IT COMES UP FOR RENEWAL AND WILL TAKE PAYMENT FROM ANY PAYMENT METHOD YOU HAVE ON FILE WITH KMARKS WEB & COMPUTER SOLUTIONS AT KMARKS WEB & COMPUTER SOLUTIONS’S THEN CURRENT RATES, WHICH YOU ACKNOWLEDGE AND AGREE MAY BE HIGHER OR LOWER THAN THE RATES FOR THE ORIGINAL SERVICE PERIOD. IN ORDER TO SEE THE RENEWAL SETTINGS APPLICABLE TO YOU AND YOUR SERVICES, SIMPLY LOG INTO YOUR ACCOUNT MANAGER FROM THIS SITE AND FOLLOW THE STEPS FOUND HERE. IF YOU DO NOT WISH FOR ANY SERVICE TO AUTOMATICALLY RENEW, YOU MAY ELECT TO CANCEL RENEWAL, IN WHICH CASE, YOUR SERVICES WILL TERMINATE UPON EXPIRATION OF THE THEN CURRENT TERM, UNLESS YOU MANUALLY RENEW YOUR SERVICES PRIOR TO THAT DATE (IN WHICH CASE THE SERVICES WILL AGAIN BE SET TO AUTOMATIC RENEWAL). IN OTHER WORDS, SHOULD YOU ELECT TO CANCEL YOUR PRODUCT AND FAIL TO MANUALLY RENEW YOUR SERVICES BEFORE THEY EXPIRE, YOU MAY EXPERIENCE AN INTERRUPTION OR LOSS OF SERVICES, AND KMARKS WEB & COMPUTER SOLUTIONS SHALL NOT BE LIABLE TO YOU OR ANY THIRD PARTY REGARDING THE SAME. IN ADDITION, KMARKS WEB & COMPUTER SOLUTIONS MAY PARTICIPATE IN “RECURRING BILLING PROGRAMS” OR “ACCOUNT UPDATER SERVICES” SUPPORTED BY YOUR CREDIT CARD PROVIDER (AND ULTIMATELY DEPENDENT ON YOUR BANK’S PARTICIPATION). IF WE ARE UNABLE TO SUCCESSFULLY CHARGE YOUR EXISTING PAYMENT METHOD, YOUR CREDIT CARD PROVIDER (OR YOUR BANK) MAY NOTIFY US OF UPDATES TO YOUR CREDIT CARD NUMBER AND/OR EXPIRATION DATE, OR THEY MAY AUTOMATICALLY CHARGE YOUR NEW CREDIT CARD ON OUR BEHALF WITHOUT NOTIFICATION TO US. IN ACCORDANCE WITH RECURRING BILLING PROGRAM REQUIREMENTS, IN THE EVENT THAT WE ARE NOTIFIED OF AN UPDATE TO YOUR CREDIT CARD NUMBER AND/OR EXPIRATION DATE, KMARKS WEB & COMPUTER SOLUTIONS WILL AUTOMATICALLY UPDATE YOUR PAYMENT PROFILE ON YOUR BEHALF. KMARKS WEB & COMPUTER SOLUTIONS MAKES NO GUARANTEES THAT WE WILL REQUEST OR RECEIVE UPDATED CREDIT CARD INFORMATION. YOU ACKNOWLEDGE AND AGREE THAT IT IS YOUR SOLE RESPONSIBILITY TO MODIFY AND MAINTAIN YOUR ACCOUNT SETTINGS, INCLUDING BUT NOT LIMITED TO (I) CANCELLING PRODUCTS AND (II) ENSURING YOUR ASSOCIATED PAYMENT METHOD(S) ARE CURRENT AND VALID. FURTHER, YOU ACKNOWLEDGE AND AGREE THAT YOUR FAILURE TO DO SO, MAY RESULT IN THE INTERRUPTION OR LOSS OF SERVICES, AND KMARKS WEB & COMPUTER SOLUTIONS SHALL NOT BE LIABLE TO YOU OR ANY THIRD PARTY REGARDING THE SAME. If for any reason Kmarks Web & Computer Solutions is unable to charge your Payment Method for the full amount owed, or if Kmarks Web & Computer Solutions receives notification of a chargeback, reversal, payment dispute, or is charged a penalty for any fee it previously charged to your Payment Method, you agree that Kmarks Web & Computer Solutions may pursue all available lawful remedies in order to obtain payment, including but not limited to, immediate cancellation, without notice to you, of any domain names or Services registered or renewed on your behalf. Kmarks Web & Computer Solutions also reserves the right to charge you reasonable “administrative” fees” for (i) tasks Kmarks Web & Computer Solutions may perform outside the normal scope of its Services, (ii) additional time and/or costs Kmarks Web & Computer Solutions may incur in providing its Services, and/or (iii) your noncompliance with this Agreement (as determined by Kmarks Web & Computer Solutions in its sole and absolute discretion). Typical administrative or processing fee scenarios include, but are not limited to (i) customer service issues that require additional personal time or attention; (ii) UDRP actions(s) in connection with your domain name(s) and/or disputes that require accounting or legal services, whether performed by Kmarks Web & Computer Solutions staff or by outside firms retained by Kmarks Web & Computer Solutions; (iii) recouping any and all costs and fees, including the cost of Services, incurred by Kmarks Web & Computer Solutions as the results of chargebacks or other payment disputes brought by you, your bank or Payment Method processor. These administrative fees or processing fees will be billed to the Payment Method you have on file with Kmarks Web & Computer Solutions. Kmarks Web & Computer Solutions may offer product-level pricing in various currencies. The transaction will be processed in the selected currency and the pricing displayed during the checkout process will be the actual amount submitted for payment. For certain Payment Methods, the issuer of your Payment Method may charge you a foreign transaction fee or other charge, which may be added to the final amount that appears on your bank statement or post as a separate amount. Please check with the issuer of your Payment Method for details. In addition, regardless of the selected currency, you acknowledge and agree that you may be charged Value Added Tax (“VAT”), Goods and Services Tax (“GST”), or other localized fees and/or taxes, based on your bank and/or the country indicated in your billing address section. Service Details. By using Good As Gold Prepaid Services, you may transfer funds to Kmarks Web & Computer Solutions to fund your Good As Gold Prepaid Services account (“Good As Gold Account”). You may then use your Good As Gold Account to purchase any Services. You may fund your Good As Gold Account by wire transfer. You acknowledge that funds transferred to your Good As Gold Account will be held by Kmarks Web & Computer Solutions and will not accrue or pay interest for your benefit. To the extent any interest may accrue, you agree that Kmarks Web & Computer Solutions shall be entitled to receive and keep any such amounts to cover costs associated with Good As Gold Prepaid Services. You agree that all transactions using Good As Gold Prepaid Services will be conducted in U.S. dollars. Your Good As Gold Account must be funded on an initial basis with no less than funds equivalent to $1000.00 U.S. dollars. All payments must be for the full amount required at purchase. Wire Transfer Details. Wire transfers may be initiated in foreign currency to fund your Good As Gold Account, however the natural currency of the Wild West Domains bank account is U.S. Dollars. Foreign currency wires will be automatically converted and deposited in U.S. Dollars. Please note that exchange rate fees may apply. You are responsible for all wire transfer fees, both incoming and outgoing, associated with your Good As Gold Account. Any non-U.S. wire transfers may be subject to fees by your bank, intermediary banks, or Kmarks Web & Computer Solutions’s bank, which may reduce the amount of the money received by Kmarks Web & Computer Solutions’s bank and subsequently funded into your Good As Gold Account. You hereby expressly authorize Kmarks Web & Computer Solutions (i) to reduce your Good As Gold Account by the amount of wire transfer fees Kmarks Web & Computer Solutions incurs in order to receive your funds; and/or (ii) to charge a twenty-dollar ($20.00) service fee (“Service Fee”) in connection with the termination of your Good As Gold Account. All fees are subject to change at any time, and such changes shall be posted online and effective immediately without need for further notice to you. You can verify the remaining funds in your Good As Gold Account at any time through your Account or the shopping cart. Should you decide to terminate your Good As Gold Account (or should Kmarks Web & Computer Solutions opt to terminate your Good As Gold Account because you have breached an obligation under the Good As Gold Service Agreement), then the balance in your Good As Gold Account will be refunded, net the Service Fee. Additional funds may be added to your Good As Gold Account at any time. Your Use of Good As Gold Prepaid Services. 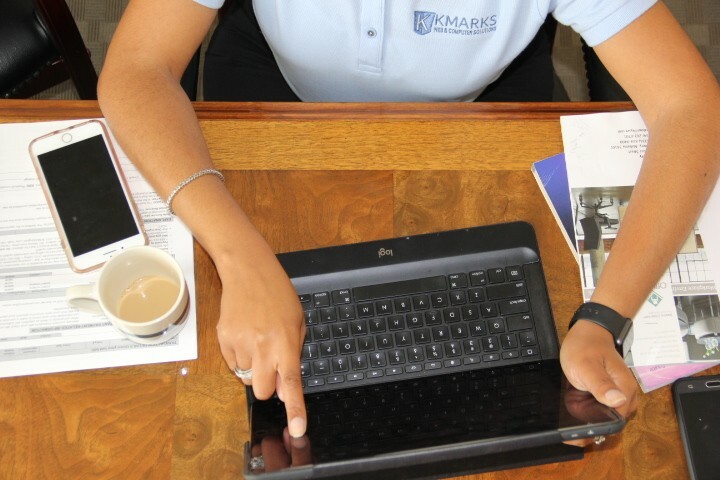 Use of funds in your Good As Gold Account can only be made through the Kmarks Web & Computer Solutions purchase process at Kmarks Web & Computer Solutions’s website. Purchases may not be made unless there are sufficient, available funds in your Good As Gold Account at the time of purchase to cover the entire purchase amount, including any related fees as set forth herein or in other relevant agreements. By using Kmarks Web & Computer Solutions’s pay by check option (“Pay By Check”), you can purchase Kmarks Web & Computer SolutionsServices using an electronic payment (from your personal or business checking account (“Checking Account”), as appropriate). In connection, you agree to allow a third-party check services provider, Certegy Check Services, Inc., (“Check Services Provider”) to debit the full amount of your purchase from your Checking Account, which is non-refundable. 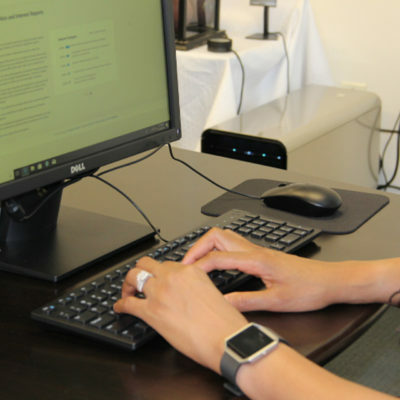 Check Services Provider will create an electronic funds transfer (“EFT”) or bank draft, which will be presented to your bank or financial institution for payment from your Checking Account. The Checking Account must be at a financial institution in the United States, and payment must be in U.S. Dollars. It is your responsibility to keep your Checking Account current and funded. You agree that (i) Check Services Provider or Kmarks Web & Computer Solutions reserve the right to decline a transaction for any reason (including, but not limited to, payments that fail to go through as a result of your Checking Account no longer existing or not holding available/sufficient funds) and (ii) in such event, neither Check Services Provider nor Kmarks Web & Computer Solutions shall be liable to you or any third party regarding the same. If for any reason Check Services Provider is unable to withdraw the full amount owed for the Services provided, you agree that Check Services Provider and Kmarks Web & Computer Solutions may pursue all available lawful remedies in order to obtain payment (plus any applicable fees). Kmarks Web & Computer Solutions is not responsible for the actions of Check Services Provider. You agree that if the EFT or bank draft is returned unpaid, you will pay a service charge in accordance with the fees permitted by law for each U.S. State. A help article describing the Check Services Provider and outlining the service charges referenced above can be found here. These fees may be debited from your Checking Account using an EFT or bank draft. All fees are in U.S. Dollars. Kmarks Web & Computer Solutions and its service providers, including but not limited to Check Services Provider and Complete Payment Recovery Services, Inc., may provide you with notices, including byemail, regular mail, SMS, MMS, text message, postings on the services, or other reasonable means now known or hereafter developed. Such notices may not be received if you violate these terms of service by accessing the services in an unauthorized manner. Your agreement to these terms of service constitutes your agreement that you are deemed to have received any and all notices that would have been delivered had you accessed the services in an authorized manner. Failure to receive such notices for any reason shall not excuse any payment or other obligation to Kmarks Web & Computer Solutions and Check Services Provider. You further expressly authorize Kmarks Web & Computer Solutions and its service providers, including but not limited to Check Services Provider and Complete Payment Recovery Services, Inc., and their affiliates to contact you, via auto-dialer, pre-recorded messages, or any other method, on any of your mobile phone numbers or emails. You further acknowledge that email addresses you provide are not shared, accessed by others and are not employer-related email addresses. Kmarks Web & Computer Solutions offers a variety of alternative international payment options through a variety of International Payment Providers (“IPP”). In the event you select an IPP, you represent that you have already agreed to any and all of the IPP’s applicable customer service agreements in advance of completing your transaction at Kmarks Web & Computer Solutions. You also agree to allow the IPP to debit the full amount of your purchase from the selected account or payment method, collectively “Funding Sources”. In addition, you agree to allow the selected IPP to debit, if applicable, an “Exchange Rate Conversion Fee”, as well as any other fees or charges applicable to your agreement with the IPP (collectively, the “IPP Fees”), from your Funding Sources. You understand and agree that IPP Fees are subject to change at any time by the IPP without notice to you by Kmarks Web & Computer Solutions. It is your responsibility to keep your Funding Sources current and funded. You agree that (i) the IPP or Kmarks Web & Computer Solutionsreserve the right to decline a transaction for any reason and (ii) neither the IPP nor Kmarks Web & Computer Solutions shall be liable to you or any third party regarding the same. You acknowledge that Kmarks Web & Computer Solutions will not attempt to fulfill the Services purchased by you until Kmarks Web & Computer Solutions receives confirmation of payment from the IPP through its associated payment processor. You acknowledge there may be a gap of several hours or days between the time you place an order and the time the IPP confirms payment through its associated payment processor. If Kmarks Web & Computer Solutions does not receive confirmation of payment from the IPP through its associated payment processor within thirty (30) days from when the order is placed, your order may be cancelled, at which time you will need to commence the purchase process again. In the event that you would like to cancel payment for a pending transaction, you may cancel the order through your Kmarks Web & Computer Solutions account. Payments received on previously cancelled orders will be automatically refunded to the original Payment Method when possible. If, at the time Kmarks Web & Computer Solutions receives confirmation of payment from the IPP (through its associated payment processor), either (i) the Services (including domain names) are no longer available for purchase; or (ii) a pending order has been cancelled in our systems; or (iii) the confirmation of payment does not match the dollar amount of the pending order, and as a result your purchase is either over-funded or under-funded, Kmarks Web & Computer Solutions may automatically issue a partial refund (in the case of over-funding) or a full refund (in the case of under-funding) to your Funding Source. If the IPP (or its associated payment processor) imposes refund limitations of any kind, Kmarks Web & Computer Solutions reserves the right to issue refunds to an in-store credit balance or as a bank transfer, when the payment processor cannot refund back to the Payment Method. If you receive a full refund, you will need to begin the purchase process again. You agree that the IPP reserves the right not to refund IPP Fees associated with a refunded transaction. Accordingly, any refunds issued by Kmarks Web & Computer Solutions will be net of the IPP Fees unless otherwise specified. Kmarks Web & Computer Solutions offers SEPA Direct Debit (“SEPA”) as a payment method for customers located in Germany. If you choose to use SEPA as a payment method, you are authorizing Kmarks Web & Computer Solutions and Adyen, our payment service provider, to send instructions to your bank to debit your account. By agreeing to these terms you have mandated Kmarks Web & Computer Solutions to collect all of the applicable charges arising under this Agreement. The authorization shall also apply to any new bank account used by you for purchases from Kmarks Web & Computer Solutions. We will notify you of the date of direct debit collection within a reasonable time (the “pre-notification”). This pre-notification will be delivered to you by e-mail at least one (1) business day before payment is collected. You are responsible for making sure that there are sufficient funds in your account to cover any debit payments. You also agree to indemnify Kmarks Web & Computer Solutions against any losses that it may incur if your financial institution withholds payment from Kmarks Web & Computer Solutions for any reason. In the event that your Account contains an in-store credit balance: (1) you may apply any available credit balance to any future purchase in your Account; and (2) you authorize Kmarks Web & Computer Solutions to apply any available credit balance to any outstanding administrative fees, chargebacks, or other fees related to your Account. In the event that your default Payment Method fails for an automated billing in connection with the processing of any Service renewals, Kmarks Web & Computer Solutions may use any available in-store credit balance if there are enough funds to cover the entire transaction. Regardless of the amount of in-store credit available in your account, Kmarks Web & Computer Solutions is not responsible for the loss of products resulting from an inability to collect funds from your default Payment Methods or the in-store credit. In-store credits will be applied based on the currency selected in the shopping cart at the time of purchase (or renewal). If you have more than one in-store credit, then the credits will be processed according to the age of the credit, with the oldest in-store credit being applied first. If additional funds are required to complete the purchase or renewal, credits held in a non-selected currency will be converted using Kmarks Web & Computer Solutions’s daily exchange rate based on the age of the credit (oldest to newest) until (i) enough funds are allocated to complete the transaction, or (ii) there is no available balance left in your account. You understand and agree that at the time of conversion, Kmarks Web & Computer Solutions may also impose an additional administrative fee. You can verify your available in-store credit balance at any time through your Account on the Kmarks Web & Computer Solutions website. You acknowledge that in-store credit balances are non-transferrable, may only be used in the Account in which they were acquired and may expire. Complimentary in-store credits will expire two years after issuance. In the event that Kmarks Web & Computer Solutions terminates your Account, you acknowledge and agree that any remaining available in-store credit balance will be forfeited. You also acknowledge that funds available in your in-store credit balance will be held by Kmarks Web & Computer Solutions and will not accrue or pay interest for your behalf. To the extent any interest may accrue, you agree that Kmarks Web & Computer Solutions is entitled to receive and keep any such amounts to cover costs associated with supporting the in-store credit balance functionality. Kmarks Web & Computer Solutions expressly reserves the right to deny, cancel, terminate, suspend, lock, or modify access to (or control of) any Account or Services (including the right to cancel or transfer any domain name registration) for any reason (as determined by Kmarks Web & Computer Solutions in its sole and absolute discretion), including but not limited to the following: (i) to correct mistakes made by Kmarks Web & Computer Solutions in offering or delivering any Services (including any domain name registration), (ii) to protect the integrity and stability of, and correct mistakes made by, any domain name registry or registrar, (iii) to assist with our fraud and abuse detection and prevention efforts, (iv) to comply with court orders against you and/or your domain name or website and applicable local, state, national and international laws, rules and regulations, (v) to comply with requests of law enforcement, including subpoena requests, (vi) to comply with any dispute resolution process, (vii) to defend any legal action or threatened legal action without consideration for whether such legal action or threatened legal action is eventually determined to be with or without merit, (viii) to avoid any civil or criminal liability on the part of Kmarks Web & Computer Solutions, its officers, directors, employees and agents, as well as Kmarks Web & Computer Solutions’s affiliates, including, but not limited to, instances where you have sued or threatened to sue Kmarks Web & Computer Solutions, or (ix) to respond to an excessive amount of complaints related in any way to your Account, domain name(s), or content on your website that could result in damage to Kmarks Web & Computer Solutions’s business, operations, reputation or shareholders. Kmarks Web & Computer Solutions expressly reserves the right to review every Account for excessive space and bandwidth utilization, and to terminate or apply additional fees to those Accounts that exceed allowed levels. Kmarks Web & Computer Solutions expressly reserves the right to terminate, without notice to you, any and all Services where, in Kmarks Web & Computer Solutions‘s sole discretion, you are harassing or threatening Kmarks Web & Computer Solutions and/or any of Kmarks Web & Computer Solutions‘s employees. Kmarks Web & Computer Solutions Content. Except for User Content, the content on this Site and the Services , including without limitation the text, software, scripts, source code, API, graphics, photos, sounds, music, videos and interactive features and the trademarks, service marks and logos contained therein (“Kmarks Web & Computer Solutions Content”), are owned by or licensed to Kmarks Web & Computer Solutions in perpetuity, and are subject to copyright, trademark, and/or patent protection in the United States and foreign countries, and other intellectual property rights under United States and foreign laws. Kmarks Web & Computer Solutions Content is provided to you “as is”, “as available” and “with all faults” for your information and personal, non-commercial use only and may not be downloaded, copied, reproduced, distributed, transmitted, broadcast, displayed, sold, licensed, or otherwise exploited for any purposes whatsoever without the express prior written consent of Kmarks Web & Computer Solutions. No right or license under any copyright, trademark, patent, or other proprietary right or license is granted by this Agreement. Kmarks Web & Computer Solutions reserves all rights not expressly granted in and to the Kmarks Web & Computer Solutions Content, this Site and the Services, and this Agreement do not transfer ownership of any of these rights. Kmarks Web & Computer Solutions supports the protection of intellectual property. If you would like to submit (i) a trademark claim for violation of a mark on which you hold a valid, registered trademark or service mark, or (ii) a copyright claim for material on which you hold a bona fide copyright, please refer to Kmarks Web & Computer Solutions’s Trademark and/or Copyright Infringement Policy referenced above and available here. This Site and the Services found at this Site may contain links to third-party websites that are not owned or controlled by Kmarks Web & Computer Solutions. Kmarks Web & Computer Solutions assumes no responsibility for the content, terms and conditions, privacy policies, or practices of any third-party websites. In addition, Kmarks Web & Computer Solutions does not censor or edit the content of any third-party websites. By using this Site or the Services found at this Site, you expressly release Kmarks Web & Computer Solutions from any and all liability arising from your use of any third-party website. Accordingly, Kmarks Web & Computer Solutions encourages you to be aware when you leave this Site or the Services found at this Site and to review the terms and conditions, privacy policies, and other governing documents of each other website that you may visit. YOU SPECIFICALLY ACKNOWLEDGE AND AGREE THAT YOUR USE OF THIS SITE AND THE SERVICES FOUND AT THIS SITE SHALL BE AT YOUR OWN RISK AND THAT THIS SITE AND THE SERVICES FOUND AT THIS SITE ARE PROVIDED “AS IS”, “AS AVAILABLE” AND “WITH ALL FAULTS”. KMARKS WEB & COMPUTER SOLUTIONS, ITS OFFICERS, DIRECTORS, EMPLOYEES, AGENTS, AND ALL THIRD PARTY SERVICE PROVIDERS DISCLAIM ALL WARRANTIES, STATUTORY, EXPRESS OR IMPLIED, INCLUDING, BUT NOT LIMITED TO, ANY IMPLIED WARRANTIES OF TITLE, MERCHANTABILITY, FITNESS FOR A PARTICULAR PURPOSE AND NON-INFRINGEMENT. KMARKS WEB & COMPUTER SOLUTIONS, ITS OFFICERS, DIRECTORS, EMPLOYEES, AND AGENTS MAKE NO REPRESENTATIONS OR WARRANTIES ABOUT (I) THE ACCURACY, COMPLETENESS, OR CONTENT OF THIS SITE, (II) THE ACCURACY, COMPLETENESS, OR CONTENT OF ANY SITES LINKED (THROUGH HYPERLINKS, BANNER ADVERTISING OR OTHERWISE) TO THIS SITE, AND/OR (III) THE SERVICES FOUND AT THIS SITE OR ANY SITES LINKED (THROUGH HYPERLINKS, BANNER ADVERTISING OR OTHERWISE) TO THIS SITE, AND KMARKS WEB & COMPUTER SOLUTIONS ASSUMES NO LIABILITY OR RESPONSIBILITY FOR THE SAME. IN ADDITION, YOU SPECIFICALLY ACKNOWLEDGE AND AGREE THAT NO ORAL OR WRITTEN INFORMATION OR ADVICE PROVIDED BY KMARKS WEB & COMPUTER SOLUTIONS, ITS OFFICERS, DIRECTORS, EMPLOYEES, OR AGENTS (INCLUDING WITHOUT LIMITATION ITS CALL CENTER OR CUSTOMER SERVICE REPRESENTATIVES), AND THIRD PARTY SERVICE PROVIDERS WILL (I) CONSTITUTE LEGAL OR FINANCIAL ADVICE OR (II) CREATE A WARRANTY OF ANY KIND WITH RESPECT TO THIS SITE OR THE SERVICES FOUND AT THIS SITE, AND USERS SHOULD NOT RELY ON ANY SUCH INFORMATION OR ADVICE. IN NO EVENT SHALL KMARKS WEB & COMPUTER SOLUTIONS, ITS OFFICERS, DIRECTORS, EMPLOYEES, AGENTS, AND ALL THIRD PARTY SERVICE PROVIDERS, BE LIABLE TO YOU OR ANY OTHER PERSON OR ENTITY FOR ANY DIRECT, INDIRECT, INCIDENTAL, SPECIAL, PUNITIVE, OR CONSEQUENTIAL DAMAGES WHATSOEVER, INCLUDING ANY THAT MAY RESULT FROM (I) THE ACCURACY, COMPLETENESS, OR CONTENT OF THIS SITE, (II) THE ACCURACY, COMPLETENESS, OR CONTENT OF ANY SITES LINKED (THROUGH HYPERLINKS, BANNER ADVERTISING OR OTHERWISE) TO THIS SITE, (III) THE SERVICES FOUND AT THIS SITE OR ANY SITES LINKED (THROUGH HYPERLINKS, BANNER ADVERTISING OR OTHERWISE) TO THIS SITE, (IV) PERSONAL INJURY OR PROPERTY DAMAGE OF ANY NATURE WHATSOEVER, (V) THIRD-PARTY CONDUCT OF ANY NATURE WHATSOEVER, (VI) ANY UNAUTHORIZED ACCESS TO OR USE OF OUR SERVERS AND/OR ANY AND ALL CONTENT, PERSONAL INFORMATION, FINANCIAL INFORMATION OR OTHER INFORMATION AND DATA STORED THEREIN, (VII) ANY INTERRUPTION OR CESSATION OF SERVICES TO OR FROM THIS SITE OR ANY SITES LINKED (THROUGH HYPERLINKS, BANNER ADVERTISING OR OTHERWISE) TO THIS SITE, (VIII) ANY VIRUSES, WORMS, BUGS, TROJAN HORSES, OR THE LIKE, WHICH MAY BE TRANSMITTED TO OR FROM THIS SITE OR ANY SITES LINKED (THROUGH HYPERLINKS, BANNER ADVERTISING OR OTHERWISE) TO THIS SITE, (IX) ANY USER CONTENT OR CONTENT THAT IS DEFAMATORY, HARASSING, ABUSIVE, HARMFUL TO MINORS OR ANY PROTECTED CLASS, PORNOGRAPHIC, “X-RATED”, OBSCENE OR OTHERWISE OBJECTIONABLE, AND/OR (X) ANY LOSS OR DAMAGE OF ANY KIND INCURRED AS A RESULT OF YOUR USE OF THIS SITE OR THE SERVICES FOUND AT THIS SITE, WHETHER BASED ON WARRANTY, CONTRACT, TORT, OR ANY OTHER LEGAL OR EQUITABLE THEORY, AND WHETHER OR NOT KMARKS WEB & COMPUTER SOLUTIONS IS ADVISED OF THE POSSIBILITY OF SUCH DAMAGES. IN ADDITION, YOU SPECIFICALLY ACKNOWLEDGE AND AGREE THAT IN NO EVENT SHALL KMARKS WEB & COMPUTER SOLUTIONS’S TOTAL AGGREGATE LIABILITY EXCEED $10,000.00 U.S. DOLLARS. You agree to protect, defend, indemnify and hold harmless Kmarks Web & Computer Solutions and its officers, directors, employees, agents, and third party service providers from and against any and all claims, demands, costs, expenses, losses, liabilities and damages of every kind and nature (including, without limitation, reasonable attorneys’ fees) imposed upon or incurred by Kmarks Web & Computer Solutions directly or indirectly arising from (i) your use of and access to this Site or the Services found at this Site; (ii) your violation of any provision of this Agreement or the policies or agreements which are incorporated herein; and/or (iii) your violation of any third-party right, including without limitation any intellectual property or other proprietary right. The indemnification obligations under this section shall survive any termination or expiration of this Agreement or your use of this Site or the Services found at this Site. Kmarks Web & Computer Solutions makes no representation or warranty that the content available on this Site or the Services found at this Site are appropriate in every country or jurisdiction, and access to this Site or the Services found at this Site from countries or jurisdictions where its content is illegal is prohibited. Users who choose to access this Site or the Services found at this Site are responsible for compliance with all local laws, rules and regulations. PLEASE READ THIS SECTION CAREFULLY. FOLLOW THE INSTRUCTIONS BELOW IF YOU WISH TO OPT OUT OF THE PROVISIONS REQUIRING YOU TO RESOLVE DISPUTES THROUGH INDIVIDUAL ARBITRATION. (A) Disputes. The terms of this Section shall apply to all Disputes between you and Kmarks Web & Computer Solutions, except for disputes governed by the Uniform Domain Name Dispute Resolution Policy referenced above and available here. For the purposes of this Section, “Dispute” shall mean any dispute, claim, or action between you and Kmarks Web & Computer Solutions arising under or relating to any Kmarks Web & Computer Solutions Services or Products, Kmarks Web & Computer Solutions’s websites, these Terms, or any other transaction involving you and Kmarks Web & Computer Solutions, whether in contract, warranty, misrepresentation, fraud, tort, intentional tort, statute, regulation, ordinance, or any other legal or equitable basis, and shall be interpreted to be given the broadest meaning allowable under law. YOU AND KMARKS WEB & COMPUTER SOLUTIONS AGREE THAT “DISPUTE” AS DEFINED IN THESE TERMS SHALL NOT INCLUDE ANY CLAIM OR CAUSE OF ACTION BY YOU OR KMARKS WEB & COMPUTER SOLUTIONS FOR (i) TRADE SECRET MISAPPROPRIATION, (ii) PATENT INFRINGEMENT, (iii) COPYRIGHT INFRINGEMENT OR MISUSE, AND (iv) TRADEMARK INFRINGEMENT OR DILUTION. Moreover, notwithstanding anything else in these Terms, you agree that a court, not the arbitrator, may decide if a claim falls within one of these four exceptions. (B) Binding Arbitration. You and Kmarks Web & Computer Solutions further agree: (i) to arbitrate all Disputes between the parties pursuant to the provisions in these Terms; (ii) these Terms memorialize a transaction in interstate commerce; (iii) the Federal Arbitration Act (9 U.S.C. §1, et seq.) governs the interpretation and enforcement of this Section; and (iv) this Section shall survive termination of these Terms. ARBITRATION MEANS THAT YOU WAIVE YOUR RIGHT TO A JUDGE OR JURY IN A COURT PROCEEDING AND YOUR GROUNDS FOR APPEAL ARE LIMITED. The arbitrator may award you the same damages as a court sitting in proper jurisdiction, as limited by the Limitation of Liability set forth in Section 15 of this Agreement and may award declaratory or injunctive relief only in favor of the individual party seeking relief and only to the extent necessary to provide relief warranted by that party’s individual claim. In addition, in some instances, the costs of arbitration could exceed the costs of litigation and the right to discovery may be more limited in arbitration than in court. The decision of the arbitrator shall be final and enforceable by any court with jurisdiction over the parties. (C) Small Claims Court. Notwithstanding the foregoing, you may bring an individual action in the small claims court of your state or municipality if the action is within that court’s jurisdiction and is pending only in that court. (D) Dispute Notice. In the event of a Dispute, you or Kmarks Web & Computer Solutions must first send to the other party a notice of the Dispute that shall include a written statement that sets forth the name, address and contact information of the party giving it, the facts giving rise to the Dispute, and the relief requested (the “Dispute Notice”). The Dispute Notice to Kmarks Web & Computer Solutions must be addressed to: Kmarks Web & Computer Solutions , 14455 N. Hayden Rd., Scottsdale, AZ 85260, Attn. : Legal Department (the “Kmarks Web & Computer Solutions Notice Address”). The Dispute Notice to you will be sent by certified mail to the most recent address we have on file or otherwise in our records for you. If Kmarks Web & Computer Solutions and you do not reach an agreement to resolve the Dispute within sixty (60) days after the Dispute Notice is received, you or Kmarks Web & Computer Solutions may commence an arbitration proceeding pursuant to this Section. Following submission and receipt of the Dispute Notice, each of us agrees to act in good faith to seek to resolve the Dispute before commencing arbitration. (E) WAIVER OF CLASS ACTIONS AND CLASS ARBITRATIONS. YOU AND KMARKS WEB & COMPUTER SOLUTIONS AGREE THAT EACH PARTY MAY BRING DISPUTES AGAINST THE OTHER PARTY ONLY IN AN INDIVIDUAL CAPACITY, AND NOT AS A PLAINTIFF OR CLASS MEMBER IN ANY PURPORTED CLASS OR REPRESENTATIVE PROCEEDING, INCLUDING WITHOUT LIMITATION FEDERAL OR STATE CLASS ACTIONS, OR CLASS ARBITRATIONS. NEITHER YOU NOR KMARKS WEB & COMPUTER SOLUTIONS WILL SEEK TO HAVE ANY DISPUTE HEARD AS A CLASS ACTION, PRIVATE ATTORNEY GENERAL ACTION, OR IN ANY OTHER PROCEEDING IN WHICH EITHER PARTY ACTS OF PROPOSES TO ACT IN A REPRESENTATIVE CAPACITY. NO ARBITRATION OR OTHER PROCEEDING WILL BE COMBINED WITH ANOTHER WITHOUT THE PRIOR WRITTEN CONSENT OF ALL PARTIES TO ALL AFFECTED ARBITRATIONS OR PROCEEDINGS. (F) Arbitration Procedure. If a party elects to commence arbitration, the arbitration will be administered by the American Arbitration Association (“AAA”) and governed by the Consumer Arbitration Rules of the AAA (“AAA Rules”) in conjunction with the rules set forth in these Terms, except that AAA may not administer any multiple claimant or class arbitration, as the parties agree that the arbitration shall be limited to the resolution only of individual claims. The AAA Rules are at www.adr.org or by calling 1-800-778-7879. If there is a conflict between the AAA Rules and the rules set forth in these Terms, the rules set forth in these Terms shall govern. You may, in arbitration, seek any and all remedies otherwise available to you pursuant to federal, state, or local laws, as limited by the Limitation of Liability set forth in Section 15 of this Agreement. All Disputes shall be resolved by a single neutral arbitrator, and both parties shall have a reasonable opportunity to participate in the selection of the arbitrator. The arbitrator is bound by these Terms. The arbitrator, and not any federal, state or local court or agency, shall have exclusive authority to resolve all disputes arising out of or relating to the interpretation, applicability, enforceability or formation of these Terms, including, but not limited to, any claim that all or any part of these Terms is void or voidable. The arbitrator shall also have exclusive authority to rule on his or her own jurisdiction, including any objections with respect to the existence, scope, or validity of the arbitration agreement or to the arbitrability of any claim or counterclaim. Notwithstanding this broad delegation of authority to the arbitrator, a court may determine the limited question of whether a claim or cause of action is for (i) trade secret misappropriation, (ii) patent infringement, (iii) copyright infringement or misuse, or (iv) trademark infringement or dilution, which are excluded from the definition of “Disputes” as stated above. The arbitrator shall be empowered to grant whatever relief would be available in a court under law or in equity. The arbitrator’s award shall be binding on the parties and may be entered as a judgment in any court of competent jurisdiction. You may choose to engage in arbitration hearings by telephone. Arbitration hearings not conducted by telephone shall take place in a location reasonably accessible from your primary residence (or principal place of business if you are a small business), or in Maricopa County, Arizona, at your option. i. Write a Demand for Arbitration. The demand must include a description of the Dispute and the amount of damages sought to be recovered. You can find a copy of a Demand for Arbitration at http://www.adr.org (“Demand for Arbitration: Consumer Arbitration Rules”). ii. Send one copy of the Demand for Arbitration to AAA by mail at American Arbitration Association Case Filing Services 1101 Laurel Oak Road, Suite 100 Voorhees, NJ 08043. (H) Hearing Format. In all hearing formats, the arbitrator shall issue a written decision that explains the essential findings and conclusions on which an award, if any, is based. During the arbitration, the amount of any settlement offer made by Kmarks Web & Computer Solutionsor you shall not be disclosed to the arbitrator until after the arbitrator determines the amount, if any, to which you or Kmarks Web & Computer Solutions is entitled. The discovery or exchange of non-privileged information relevant to the Dispute may be allowed during the arbitration. (I) Arbitration Fees and Payments. i. Disputes involving $75,000 or less. Kmarks Web & Computer Solutions will promptly reimburse your filing fees and pay the AAA’s and arbitrator’s fees and expenses. If you reject Kmarks Web & Computer Solutions’s last written settlement offer made before the arbitrator was appointed (“Kmarks Web & Computer Solutions’s last written offer”), your dispute goes all the way to an arbitrator’s decision (called an “award”), and the arbitrator awards you more than Kmarks Web & Computer Solutions’s last written offer, Kmarks Web & Computer Solutions will: (i) pay the greater of the award or $1,000; (ii) pay twice your reasonable attorney’s fees, if any; and (iii) reimburse any expenses (including expert witness fees and costs) that your attorney reasonably accrues for investigating, preparing, and pursuing your claim in arbitration. The arbitrator will determine the amount of fees, costs, and expenses unless you and Kmarks Web & Computer Solutions agree on them. iii. Disputes involving any amount. In any arbitration you commence, Kmarks Web & Computer Solutions will seek its AAA or arbitrator’s fees and expenses, or your filing fees it reimbursed, only if the arbitrator finds the arbitration frivolous or brought for an improper purpose. In any arbitration Kmarks Web & Computer Solutions commences, Kmarks Web & Computer Solutions will pay all filing, AAA, and arbitrator’s fees and expenses. Kmarks Web & Computer Solutions will not seek its attorney’s fees or expenses from you in any arbitration. Fees and expenses are not included in determining the amount in dispute. (J) Claims or Disputes Must be Filed Within One Year. To the extent permitted by law, any claim or dispute to which this Section applies must be filed within one year in small claims or in arbitration. The one-year period begins when the claim or Notice of Dispute first could be filed. If not filed within one year, the claim or dispute will be permanently barred. (K) 30-Day Opt-out Period. IF YOU DO NOT WISH TO BE BOUND BY THE ARBITRATION PROVISION IN THIS DISPUTES SECTION, YOU MUST NOTIFY KMARKS WEB & COMPUTER SOLUTIONS BY E-MAILING LEGALOPTOUT@SECURESERVER.NET WITHIN 30 DAYS OF THE DATE THAT YOU ACCEPT THESE TERMS (UNLESS A LONGER PERIOD IS REQUIRED BY APPLICABLE LAW). In the e-mail, you must provide your (a) first name, (b) last name (c) address, (d) phone number, and (e) account number(s) and state the following: “I wish to opt out of the arbitration provision contained in Kmarks Web & Computer Solutions’s Universal Terms of Service Agreement.” By providing your information in the method above, you are opting out of the agreement to arbitrate contained in Kmarks Web & Computer Solutions’s Universal Terms of Service. Your opt-out request will only be valid if made within thirty (30) days of first accepting the Universal Terms of Service. In the event that you opt-out consistent with the procedure set forth above, all other terms shall contained herein shall continue to apply, including those related to the applicable governing law and the court(s) in which legal disputes may be brought. (L) Amendments to this Section. Notwithstanding any provision in these Terms to the contrary, you and Kmarks Web & Computer Solutionsagree that if Kmarks Web & Computer Solutions makes any future amendments to the dispute resolution procedure and class action waiver provisions (other than a change to Kmarks Web & Computer Solutions’s address) in these Terms, Kmarks Web & Computer Solutions will notify you and you will have thirty (30) days from the date of notice to affirmatively opt-out of any such amendments. If you affirmatively opt-out of any future amendments, you are agreeing that you will arbitrate any Dispute between us in accordance with the language of this Section as stated in these current Terms, without any of the proposed amendments governing. If you do not affirmatively opt-out of any future amendments, you will be deemed to have consented to any such future amendments. (M) Severability. If any provision in this Section is found to be unenforceable, that provision shall be severed with the remainder of these Terms remaining in full force and effect. The foregoing shall not apply to the prohibition against class or representative actions; if the prohibition against class or representative actions is found to be unenforceable, this entire Section shall be null and void. The terms of this Section shall otherwise survive any termination of these Terms. (N) Exclusive Venue for Other Controversies. Kmarks Web & Computer Solutions and you agree that any controversy excluded from the dispute resolution procedure and class action waiver provisions in this Section (other than an individual action filed in small claims court) shall be filed only in the Superior Court of Maricopa County, Arizona, or the United States District Court for the District of Arizona, and each party hereby irrevocably and unconditionally consents and submits to the exclusive jurisdiction of such courts for any such controversy. You also agree to waive the right to trial by jury in any such action or proceeding. Please be advised that if a customer has an outstanding account balance (a credit positive balance) for three (3) years or more for any reason, and (i) Kmarks Web & Computer Solutions is unable to issue payment to such customer or (ii) Kmarks Web & Computer Solutionsissued payment to such customer in the form of a paper check, but the check was never cashed, then Kmarks Web & Computer Solutionsshall turn over such account balance to the State of Arizona in accordance with state law. You acknowledge and agree that in either case (i) or (ii) above, Kmarks Web & Computer Solutions may withhold a dormancy charge in an amount equal to the lesser of $25.00 or the total outstanding account balance associated with such customer. Any and all contractual agreements between Kmarks Web & Computer Solutions and its commercial contract partner (“Entrepreneur” in the meaning of section 14 German Civil Code) are exclusively governed by and construed in accordance with the laws of the state of Arizona, USA, exclusive of the conflict of law provisions and the United Nations Convention on Contracts for the International Sale of Goods. BY MEANS OF A CLEAR STATEMENT (E.G. A LETTER SENT BY POST, FAX OR E-MAIL) ABOUT YOUR DECISION TO WITHDRAW FROM THIS CONTRACT. YOU CAN USE THE ATTACHED TEMPLATE, WHICH HOWEVER IS NOT REQUIRED. TO COMPLY WITH THE WITHDRAWAL PERIOD, IT IS SUFFICIENT FOR YOU TO SEND THE NOTICE TO EXERCISE THE RIGHT OF REFUSAL BEFORE EXPIRY OF THE WITHDRAWAL PERIOD. IF YOU WITHDRAW FROM THIS AGREEMENT, WE SHALL REIMBURSE YOU ALL PAYMENTS WE HAVE RECEIVED FROM YOU, INCLUDING DELIVERY CHARGES (EXCEPT FOR THE ADDITIONAL COSTS ARISING FROM CHOOSING A DIFFERENT DELIVERY METHOD THAN THE MOST FAVORABLE STANDARD DELIVERY) WITHIN FOURTEEN DAYS FROM THE DATE ON WHICH THE NOTIFICATION OF YOUR REVOCATION OF THIS CONTRACT HAS REACHED US. FOR THIS REPAYMENT, WE WILL USE THE SAME FORM OF PAYMENT THAT YOU USED IN THE ORIGINAL TRANSACTION UNLESS OTHERWISE EXPRESSLY AGREED WITH YOU. IN NO CASE WILL YOU BE CHARGED FEES FOR THIS REPAYMENT. IF YOU HAVE REQUESTED THAT WE COMMENCED RENDERING OUR SERVICES BEFORE THE END OF THE PERIOD TO WITHDRAW, WE RESERVE THE RIGHT TO CHARGE A REASONABLE AMOUNT EQUAL TO THE PROPORTION OF SERVICES ALREADY PROVIDED TO YOU AT THE TIME OF REVOCATION IN RESPECT OF THIS CONTRACT COMPARISON WITH THE TOTAL VOLUME OF SERVICES PROVIDED FOR IN THE CONTRACT. You expressly agree that: (i) Kmarks Web & Computer Solutions (or its service provider) may contact you by phone in order to resolve your complaint or dispute, or your current service or billing issue; and (ii) in order to resolve such complaint, dispute or issue, Kmarks Web & Computer Solutions may use and may disclose to its service provider the following information: call recordings, customer name, phone number(s) and contact preferences, tenure of your relationship with Kmarks Web & Computer Solutions, products used, and information about the nature of your complaint, dispute, or service issue. We Make It Simple, To Do Business online! Quote Request or Schedule a Free Consultation Let's Get Started!